At just 29mm thick the panel is the most closely toleranced available with total consistency of size. The unique mechanical interlock edge detail that prevents delamination and has 4 sheets of steel, providing a robust indestructible edge and excellent air leakage resistance. JVP 4X4 System to meet MOB PF2 PS performance specification utilising unique interlocking edge detail. JVP 4X4 System to meet BSEN 182825 Class 3/A/3/1 utilising unique interlocking edge detail. 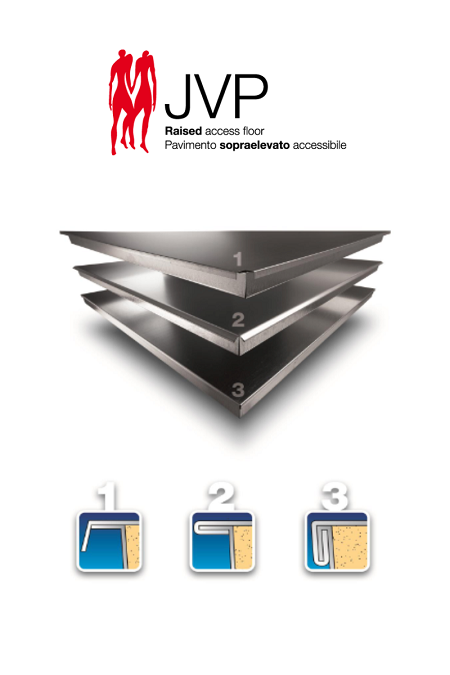 JVP 4X4 System meets MOB and BSEN giving a slimline 23mm panel to provide a solution for low void floors.